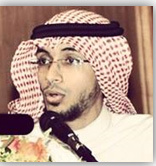 The Lancet a well-known pioneering medical journal with an impact factor of 39 in 2012 has accepted for publication a Correspondence Letter from an Alfaisal University Medical student Mr Abdulhadi AlAmoudi entitled “Child Marriage: Destroying Innocent Childhood in Yemen”. The Lancet comes second after the New England Journal of Medicine in terms of impact factors. The Dean of the College of Medicine Dr Khaled Al-Kattan in congratulating the student said, “The Lancet is one of the top journals world-wide. This is well done for Alfaisal University and its bright students”.